Visit her at Facebook, and Twitter. Location: The Amsterdam area in the Netherlands. I'm living in a beautiful seaside village. I read about it on Twitter and then started following the website. 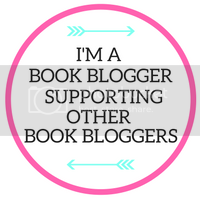 I love reading reviews and I'm always looking for new book recommendations. 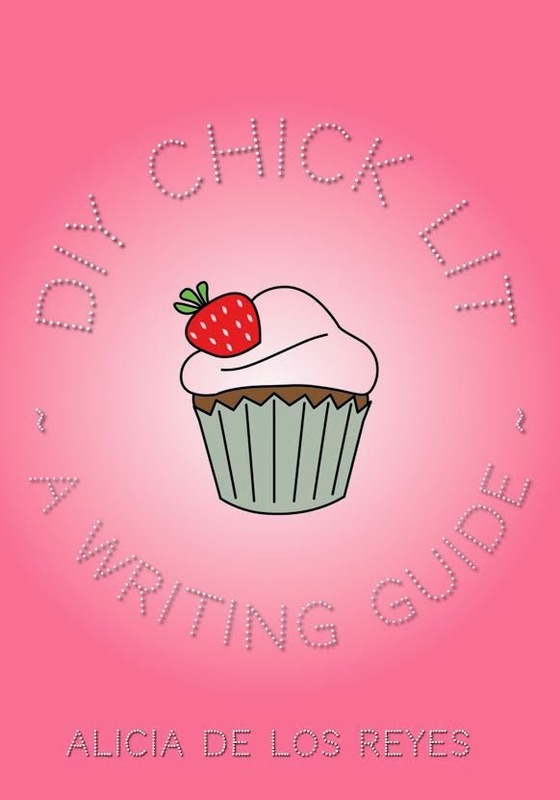 These are the five chick lit novels that I can read over and over again. I try to work on my books as often as I can. I'm currently writing my first book in English, which is a YA novel. I've finished a novel in Dutch and am going to do one last revision before sending it to either an agent or a publisher. 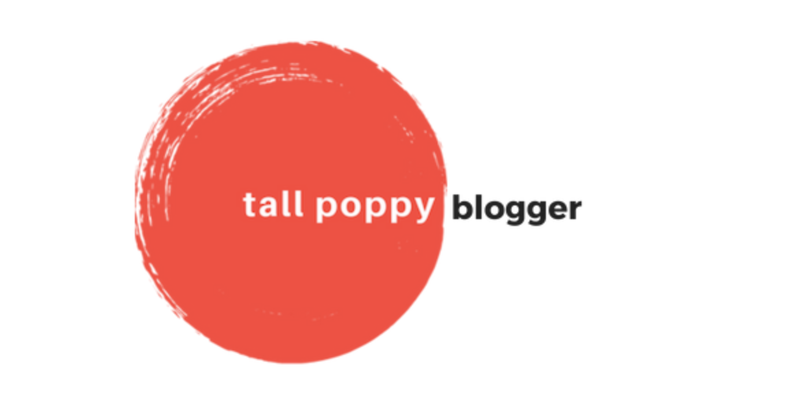 I try come up with stories on a daily basis for my blog. I've started this a few months ago to share free fiction with everyone who wants to read it. 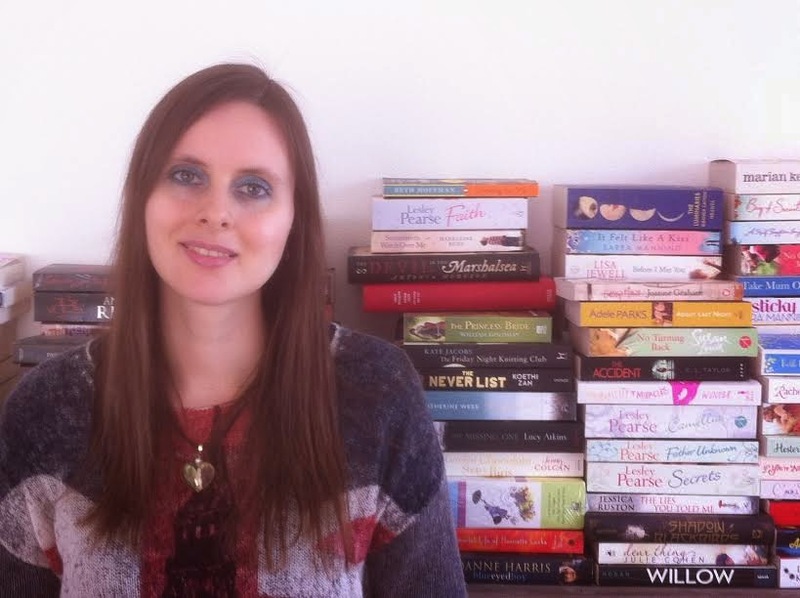 I also write positive reviews about the books that I love. I studied literature and marketing of books about twelve years ago. 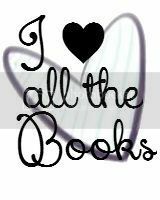 My whole life revolves around books which is exactly the way I like it. In my free time I like hanging out with my friends and family. I'm married to my high school sweetheart and we've been together for almost 18 years. We share a passion for good food and great wines and we are the proud owners of the Gault & Millau guides of several different countries. I'm in love with France and that is where we go as often as possible, which usually means a few times a year. I like fashion and beauty and spend a lot of time shopping online to find something great to wear. I've got a pretty good life, there's only one thing that isn't going very well and that's my health. ‘Maggie Carter knows Victoria Park like the back of her hand. She can tell you what time of year the most fragrant flowers bloom; she knows which paths lead you to the bench by the lake. The park is her safe place – because outside it, expecting her first baby, Maggie has started to wonder whether she’s going to be able to cope. This synopsis appealed to me; two women with very different circumstances but both expecting their first child, drawn together through a timely meeting on a park bench. 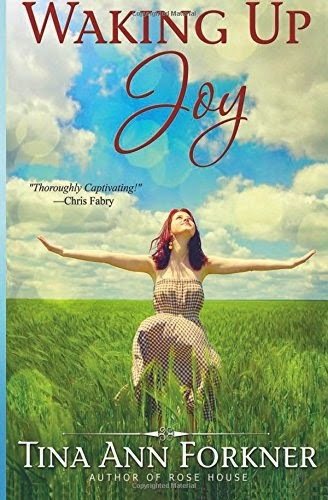 It would be quite hard to write a review of this book without mentioning what the synopsis doesn’t divulge, that Maggie is visually impaired, and Elsa is in fact in her eighties but suffers from dementia, with her mind taunting her, increasingly taking her back to a very difficult time in her life. I was surprised to learn of both these revelations as they just weren’t what I was expecting. I thought the build up to Maggie’s visual impairment being revealed to the reader was very clever, making it clear that in so many respects someone with such a disability will go about their day to day lives, and have the same day to day worries much the same as everyone else, I didn’t see this reveal coming. 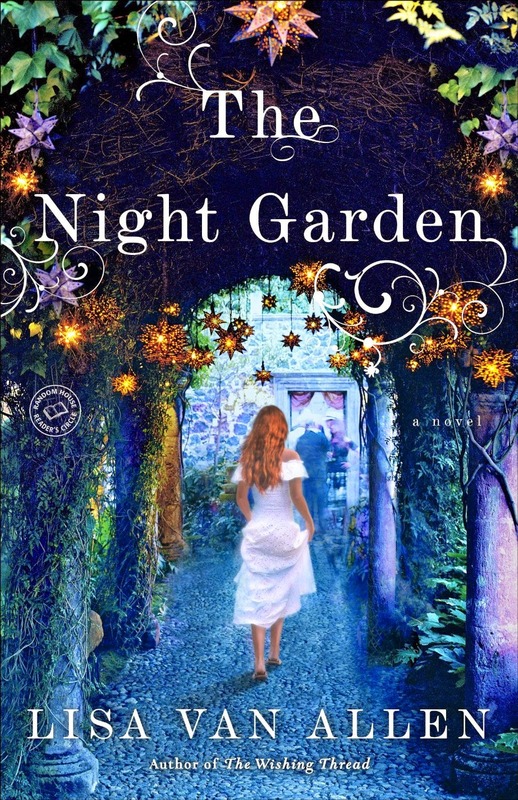 Once informed, I was intrigued and pleasantly surprised to be reading a book with a lead character with such a physical disability, I can’t recall any other books I’ve read with such a lead character so for me it offers something different for the reader. I enjoyed the character of Maggie, a very strong and likeable character who experiences many of the same fears as anyone who is about to become a parent. However, when it becomes quite obvious to Maggie that her mother-in-law doesn’t believe she can be a ‘normal’ parent, Maggie’s inner qualms about her own ability to be a good parent surface and she questions herself repeatedly. I thought the attention to detail and internal dialogue surrounding Maggie’s fears were very strong. In terms of the reveal of Elsa being in fact in her eighties, well, I didn’t feel it likely that Maggie (who is very independent and intuitive) would actually mistake a woman in her eighties for a young woman. So for me my ‘buy in’ to the novel was lost a bit at this point, but I decided to put that niggle to one side and just continue with the novel (this happens early on). 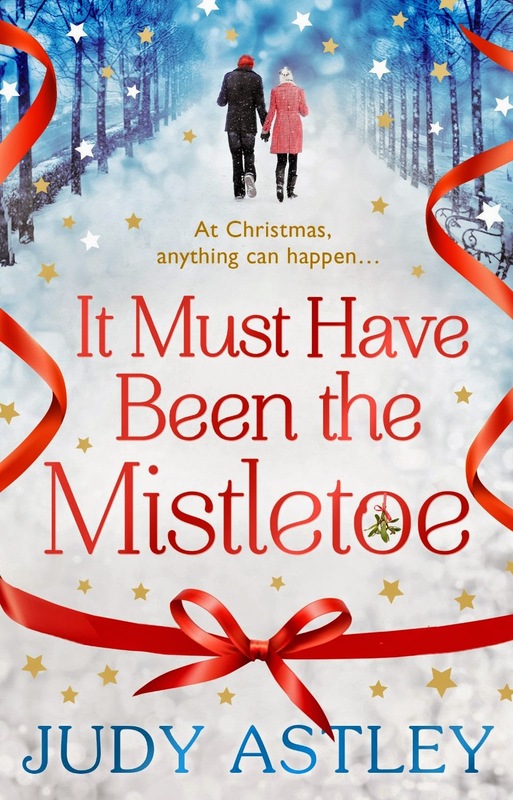 I found Elsa’s story very moving and interesting and enjoyed Maggie’s involvement in trying to be a friend to Elsa and helping her solve the mystery surrounding the time she was pregnant with her first child. Admittedly I found the book a tad repetitive in parts and in this sense I felt it could maybe have been a little shorter. Overall I enjoyed the style of writing and felt the scenes in the park in particular were very atmospheric. 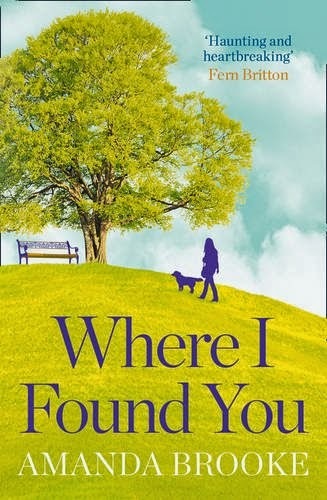 Where I Found You was an enjoyable read; a book I would recommend, particularly if you enjoy quite a moving novel. Augustus (Gus for short) is independent. He’s prone to late night strolls and can be very territorial over his home and the most cherished possession and love of his life, Maisie. He stands his ground at all costs, and won’t take no for an answer. Not surprisingly, Gus is a cat. 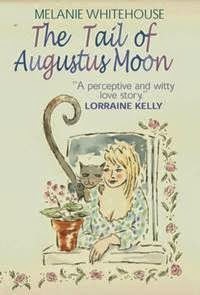 In The Tail of Augustus Moon, we are given insight from a feline’s perspective. Left behind after his prior owners skipped town, Gus had been on his own and fending for himself before Maisie moved into the neighborhood. Knowing it’s time to settle his paws and plant roots again, Gus sets out to woo Maisie into adopting him. It’s no easy task. 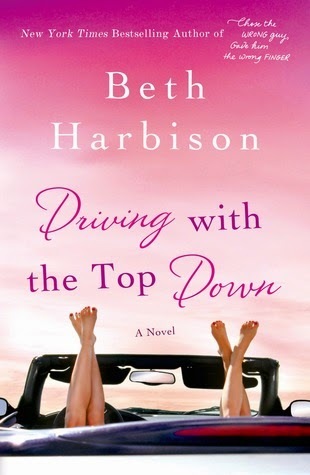 Maisie is set in her ways, too, having lived a rather lonely existence that includes a string of broken romances. She wanted to escape to the country for peace and in pops Gus, ready to spoil all she’s set out to do. Really, she’s more of a dog person. Thus begins an "Odd Couple" relationship. Gus gets angry when Maisie goes out without him. Maisie gets annoyed when Gus gives her one of his special “presents”. Anything with a tail and resembling a rodent should be off limits. Over time they form a very special bond built on trust and mutual respect, only to have it potentially shattered by another man, and not of the feline variety, either. Gus has no room in his life for competition, especially where humans are concerned. Gus is number #1, and that’s it. End of story. For Maisie though, it's a tough choice to make. If the two men she loves most in life can't get along, what is she to do? I wasn’t sure what to expect from a book that is written from the human and feline perspective. I was surprised to find that it’s a unique twist, and cleverly done! Melanie Whitehouse has created a sweet tale (or is that tail) about the bond between pets and their humans. 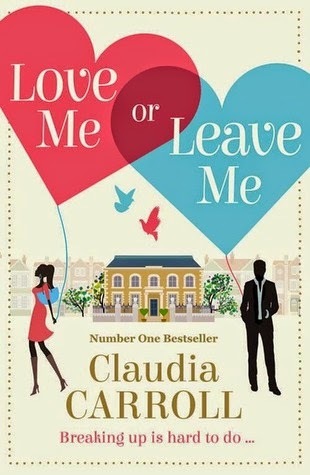 Throw in some drama, and it’s a really cute read. It really makes you think about what’s really going on inside the mind of your furry friend! Thanks to Book Guild for the book in exchange for an honest review. Double Feature Book Review: Better Late than Never! In any case, both books are by authors I respect and whose voices have a similar feel to the point where I think they should write a book together. Also, both books have some similar themes running through them. Both synopses are courtesy of Amazon. Meet Grace, who is actually excited about turning 40 in a few months, that is, until her job, marriage, and personal life take a dizzying downhill spiral. 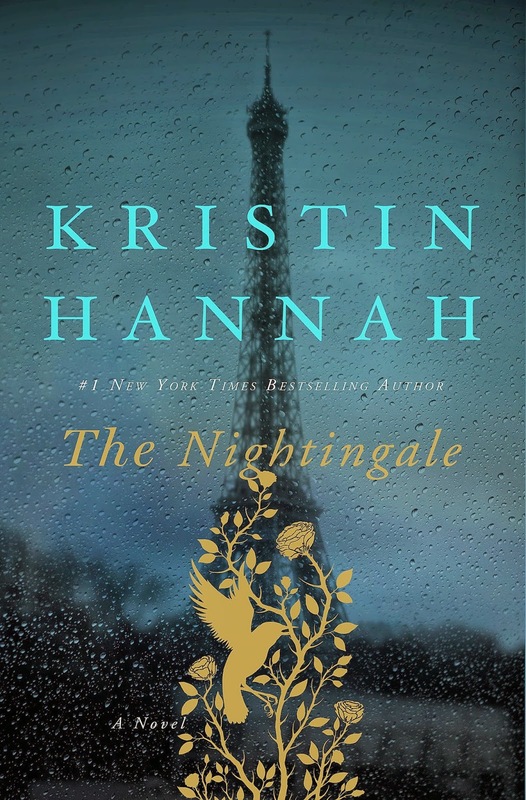 Can she recover from the most devastating time in her life, right before it's supposed to be one of the best? 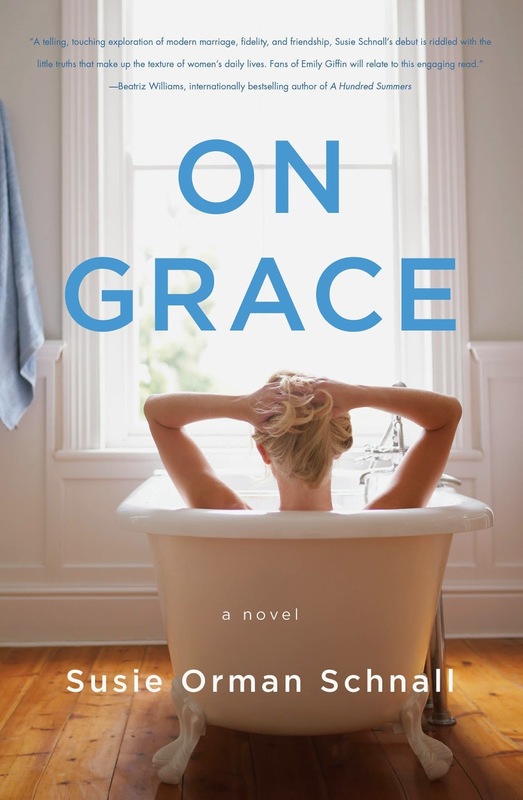 Fans of Emily Giffin will love Susie Orman Schnall's debut, which is all about rediscovering yourself--with grace--well after you think it's even possible anymore. On Grace deals with themes such as divorce, infidelity, re-entering the workforce after children, breast cancer, and of course, turning 40. It was easy to get into On Grace and stick with the story throughout, as it was engaging and comfortable, like chatting with a close friend. The story and the way it was written reminded me of Here, Home, Hope by Kaira Rouda (also the author of the book sharing this review space). The dialogue felt genuine and flowed nicely. I liked the interactions between Grace and the other characters in the story and felt I could easily visualize them. The only thing that didn't work as well was that I had a hard time feeling sorry for Grace since she seemed to have a lot of money and friends in high places. She was still a sympathetic character overall, but sometimes she had it a little too easy. If I were to cast the role of Grace for a movie (as it would be an awesome chick flick), I'd go with Gwyneth Paltrow or Cameron Diaz. Both women could add their own flair to Grace's personality and I'd have a tough time deciding between them. Then again, one could play her best friend, Cameron (maybe Ms. Diaz to make things less confusing?) and I think they'd portray a convincing friendship. I think part of the delay in reviewing this is that the subject matter was rather heavy for a mom, such as myself, to think about. So even revisiting it after I finished the story felt daunting. I even wrote a blog post that touched upon certain feelings this story brought up, and that was before I even read it. Having said that, I was impressed with Jenn's need to embrace life while knowing it could quickly come to an end. One of the main focuses of the story is that Jenn is planning a party for herself, but it's not so people can feel sorry for her. It's just one more way for her to embrace life and all the people who have touched hers in some way. Throughout the story, it's interesting to ponder how we see things at the end of our lives and the choices we make when we have the luxury (or doom) of knowing we'll be meeting our maker soon. Kaira's characters are all strong and well-developed and I enjoyed seeing them interact. I would have loved more history between Jenn and her sister though. The only things that didn't work so well for me were Jenn calling her father "daddy" while she's an adult and some parts seeming a bit far-fetched. It was a good story overall and went along at a nice pace, never feeling like it was stuck at all. If I were to cast In the Mirror as a movie (you'd need to bring a box of tissues though), Rachel McAdams would play Jenn. Thanks to Kaira Rouda for the book in exchange for an honest review. 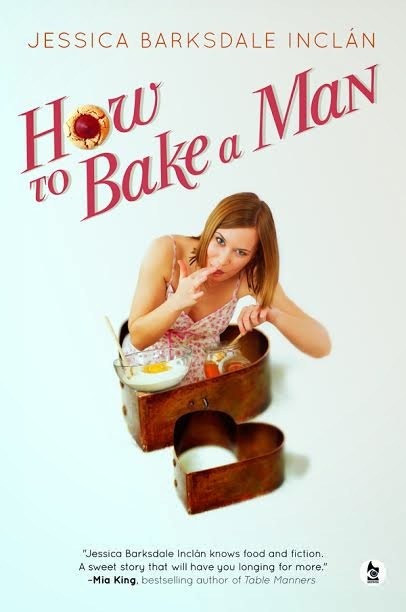 Today we are pleased to have Jessica Barksdale Inclán at CLC to talk about her baking experiences when she tries out all the recipes in her latest novel, How to Bake a Man. Thanks to Ghostwoods Books, we have TWO copies for readers in the US or UK! 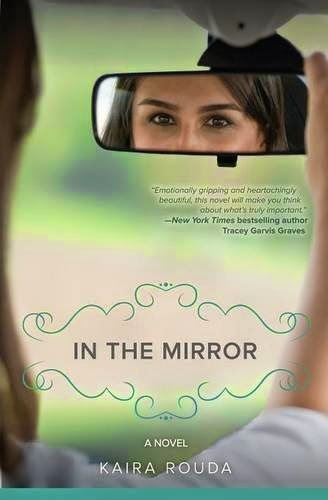 Jessica Barksdale Inclán is the author of twelve traditionally published novels, including the bestselling Her Daughter's Eyes, The Matter of Grace, and When You Believe. She has also published several e-books and a women's studies textbook. Her work had been translated into Spanish, Portuguese, Dutch, and Czech. 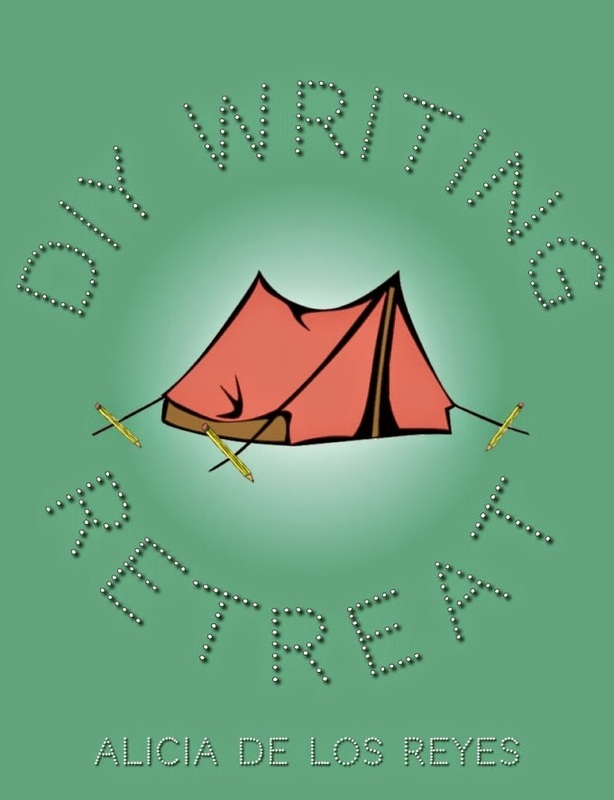 Ms. Inclán teaches composition, creative writing, mythology, and women’s literature at Diablo Valley College in Pleasant Hill, California, as well as online novel writing courses for UCLA Extension. She lives in Oakland, California with her husband and is currently at work on a young adult novel. 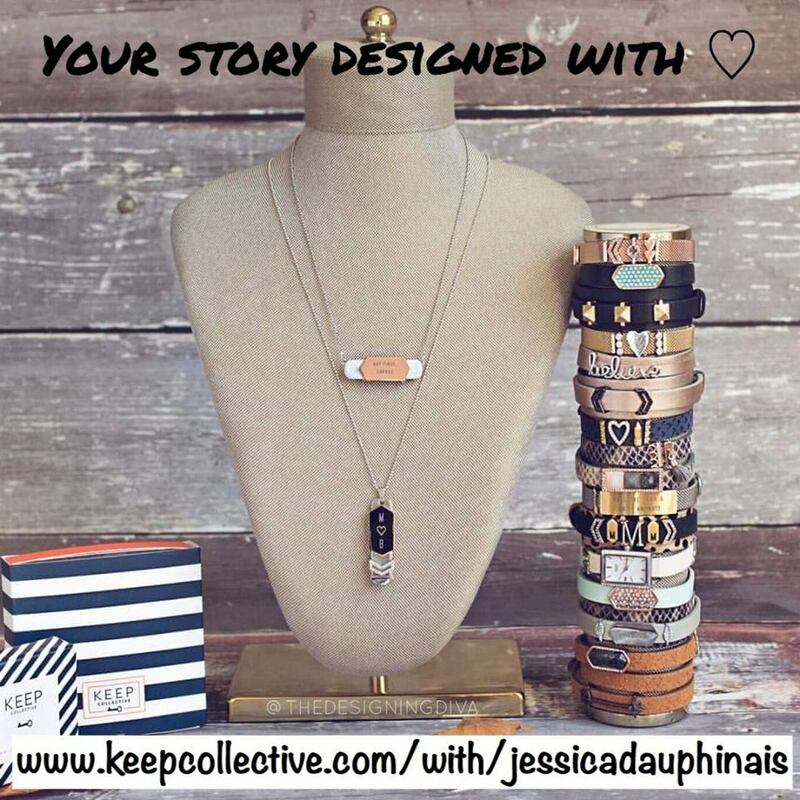 Visit Jessica at her website, Facebook, and Twitter. The task? Bake all the recipes included in my novel How to Bake a Man. The objective? Make sure the recipes are locked down and clear, as some of them go back over one hundred years, back to my great-grandmother. She, my grandmother, and mother wrote down directions in an almost shorthand, their beautiful cursive fading on the 3 X 5 cards and sometimes a bit terse. The bakers? My husband Michael and me. 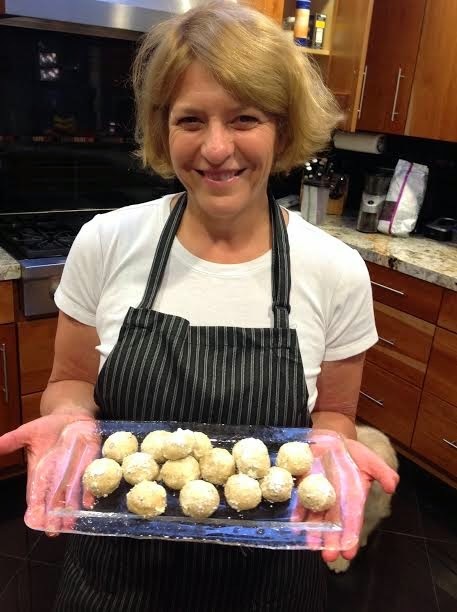 Of course, I’d been eating and baking these delicious treats most of my life, but I wasn’t going to unleash bad math and chemistry out into the world. So Michael and I started in. “How much all-purpose flour do we have?” Michael called out from the kitchen, where he was making Honey Nuts. A drive to the grocery store and six cups of flour later, we had the full recipe chilling in rounds in the fridge. We peeked in. “How many will it make?” Michael asked, fear in his voice. About 100 cookies later, we’d figured it out. Suffice to say the recipe is spot on math wise, but cut it in half. 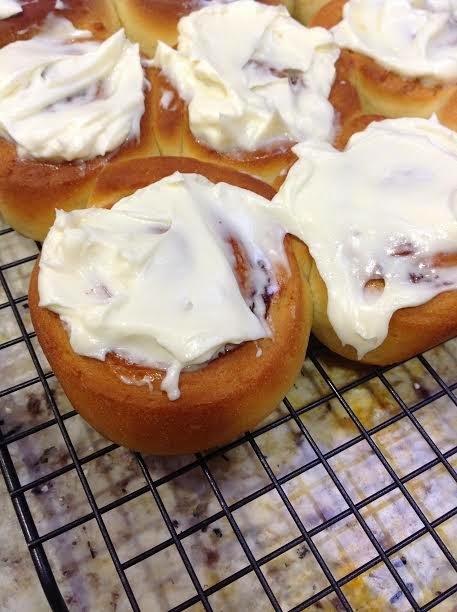 Or wait till Christmas to make them. We gave them to our dog sitter. Next up? Sand tarts. Delicious. We ate them all. “No more until I lose five pounds,” I said to Michael. Three batches of cinnamon rolls later (two delivered to our beloved next-neighbors, who stopped answering their doorbell after that second batch) we knew the recipe was perfect. We added a bit more butter, though I still think nuts would be a good option. The rum cake was perfect, as always, so delicious that we ate half of it for dinner. “Who needs broccoli?” Michael said. “Bring the second half next door,” I said. “What second half?” Michael said, his mouth full. The brownies—the recipe I made throughout my sons’ childhood—magically vanished. I’m still not sure who ate them. 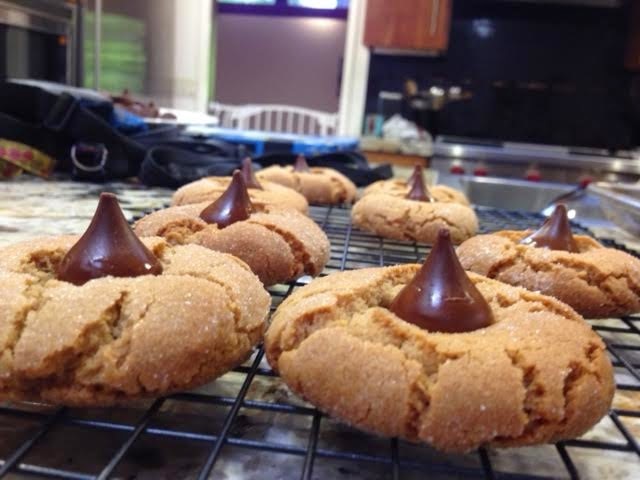 Cheesecake, sugar cookies, pumpkin muffins, chocolate chippers, we baked late into the nights. Sometimes I thought I heard Michael upstairs at 2 am, the glug of milk into a glass. In the morning, crumbs on the counter. By the end of all the baking, we were sugar high and slightly plump. But the good news is that all the recipes Becca makes in How to Bake a Man you can make, too. Trust me, we’ve tested them all. Now, off to the gym. 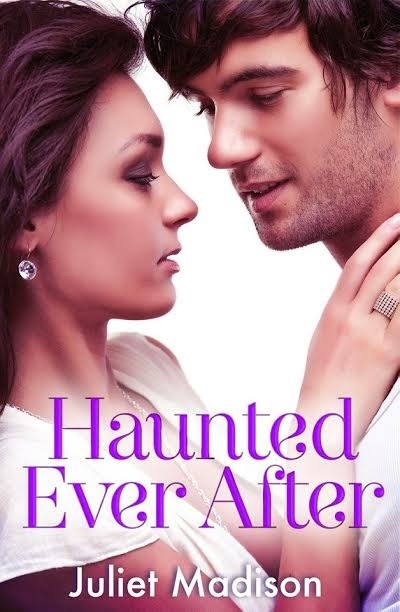 Thanks to Jessica for an entertaining guest post and to Ghostwoods Books for sharing the book with our readers. US/UK only. Giveaway ends October 28th at midnight EST. 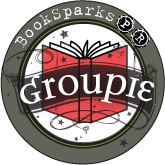 I love sharing books with people, whether it is friends, co-workers, or e-mail pals. Some people consider my house to be a library. One of my friends bought me a stamp that allows me to emboss my name in all my books. It even implies that I have my own personal library. I've even participated in Paperback Swap from time to time. At work, I started a program where people could exchange books every so often. This was inspired by the times I'd go into Starbucks or a train station and see bookshelves encouraging people to take and leave books. Now that our office is in a new location with a bigger breakroom, I asked the facilities manager about adding in a bookshelf so that we could take and leave books whenever we wanted, instead of having days designated for this activity. I've seen pictures of Little Free Libraries, but haven't encountered one in person. I'm sure that my bookshelves would be begging for mercy if I ever did happen upon one! 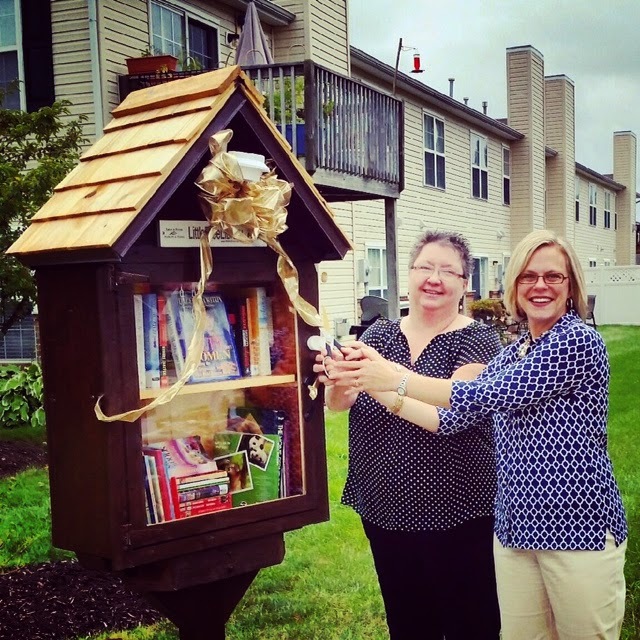 Therefore, I'm jealous of our Chick Lit Cheerleader, Jen Tucker, who was invited to be the guest of honor at a Little Free Library dedication! One of the things I love about living not too far from Indianapolis, Indiana, is discovering the cozy suburbs surrounding the capital city. From artsy to industrial, great places and spaces abound. One of my favorite little burbs is Zionsville. Fine cuisine, art galleries and quaint shops line the downtown streets. It’s one of my favorite halfway points to meet my friend, Christy, for dinner. One night after chowing down with our hubbies, we strolled along the sidewalks admiring the rows bungalows. Perched in the front yard of one was something I’d never seen before. At first, I thought it was a birdhouse, yet as we moved closer, I realized this small wooden structure had a window paned door with a little sign above it. I had just been introduced to my first Little Free Library. This movement to provide a place for neighbors to swap books was the brainchild of Todd Bol and Rick Brooks. Bol was looking for a way to honor the legacy of his mother; a retired teacher who was passionate about reading. Brooks was investigating ways to make a social impact through enterprise. Together, they set out to create a non-profit organization setting a lofty goal, inspired by Andrew Carnegie’s financial backing of 2,509 libraries across the country at the turn of the century, to match that number in Little Free Libraries being created around the world. They surpassed it. 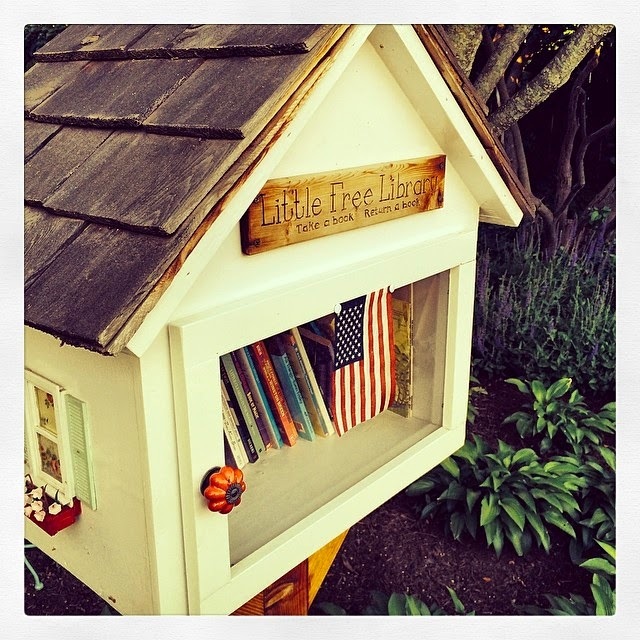 Today there are over 15,000 Little Free Libraries worldwide with thousands in the process of completion. I had no idea how this little book swap box came to be when I snapped a photo of the one I was so taken with and shared it on Facebook. After posting the photo, I received a message from a reader I’ve had the pleasure to get to know via social media. 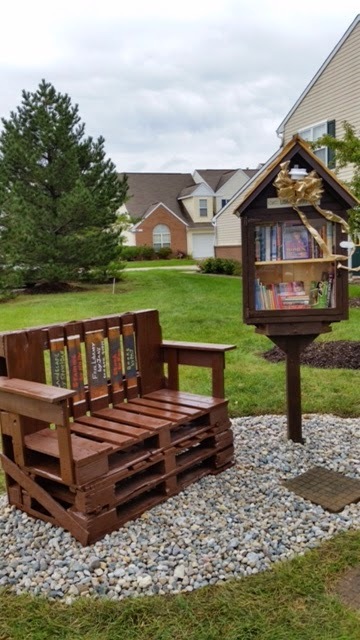 Jane Cook, who lives in Westfield, Indiana, broke the exciting news to me that she was in the process of having a Little Free Library built in her neighborhood and asked if I’d be willing to donate a book. I excitedly packed up a box full, eager to help. I asked her to let me know when it would be finished, that I would love to see it. Jane so graciously invited me to be the guest of honor at the dedication. Believe you me, I was the one honored to see how a woman rallied her community to install this treasure trove of literacy. Jane and I spent time together in her home before the ribbon cutting ceremony. Being the curious girl I am, I asked her about how her love of books developed. She shared with me she grew up on a farm, an only child, and books became her friends. She traveled to many lands, met many interesting people, and experienced things beyond compare while delving into the pages of novels. That passion for reading followed her into adulthood yet came to a halt after the death of Jane’s husband. For hours, she’d tenderly read to him while he was ill in the hospital. Once he passed away, books were too painful to open. 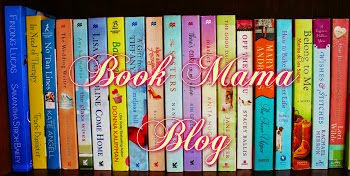 Through the connectedness of the internet, Jane shared with me she noticed people discussing books they enjoyed. She began reaching out to authors whose work spoke to her. Slowly, she began turning pages again. Another step in healing from her loss was dreaming of a place, a Little Free Library, where children and adults could share books with one-another. And it has come to pass. And it’s beautiful. The big picture is what a team of people can accomplish when they share a mission, a passion, a drive to make something better for others. The power of one is strong. The power of many is a force to be reckoned with. No goal or ambition is too big when you dream dreams. Not to get all science fiction geek on you, but as Yoda says, “Do or do not, there is no try.” And that’s exactly what this little band of book lovers did. They made the Little Free Library so. Again, pardon the Captain Picard sidebar. Jane, this column is dedicated to you and all those making a difference in literacy each and every day across the globe. You saw a need in your community, you acted upon it with a team of volunteers and friends, and you’ve left a lasting imprint. You are a treasure. I’m proud to call you friend. Thank you for allowing books to pick you up and sweep you away once again. They never left you. The pages held fast waiting until you were ready to turn them again. 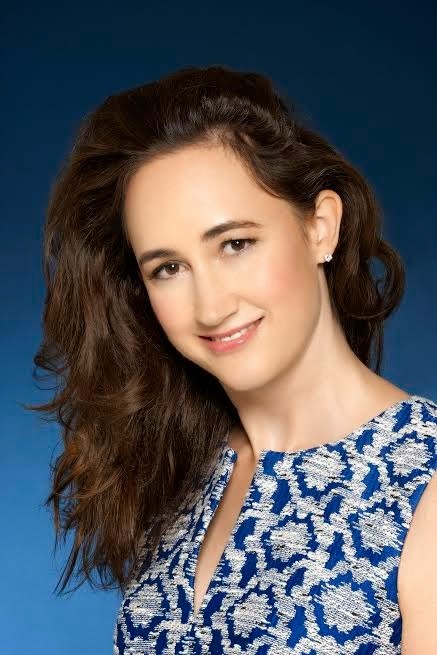 I can't decide if it's a good thing or not that Sophie Kinsella is in New Jersey today and I live four hours away. The not-so-good thing is that this is a once-in-a-lifetime opportunity to meet one of my all-time favorite chick lit authors. On the other hand, if we were to be in the same room, I probably would be all star-struck and not have a single witty thing to say to an author whom I consider as more of a celebrity. 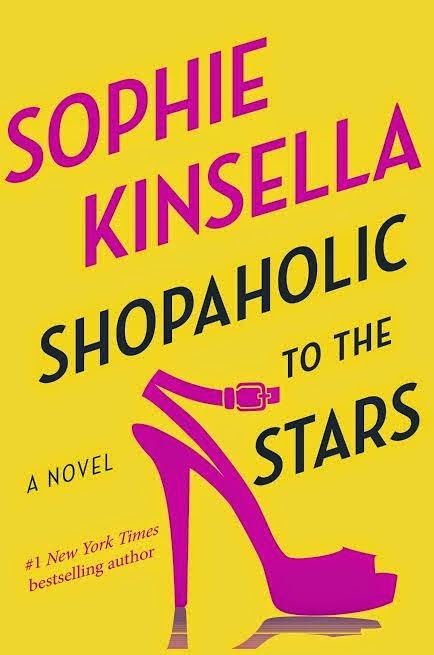 If only I were like Becky Brandon and could easily schmooze with my favorite celebrities (or authors, in my case) the way she does in Shopaholic to the Stars, Sophie's latest novel in the popular series. I read it recently (review coming soon) and it's hilarious, as always. Thanks to Penguin Random House, we have TWO copies for some lucky US readers! Sophie is here today to talk about shopping (what else?!? )....and to get us psyched up for next month's theme, which is CELEBRITIES! Tell us about a memorable purchase or shopping trip. If you were to take Becky on a shopping spree, what three stores would you HAVE to visit? Ooh, very tough! Anthropologie for sure, it's such a feelgood place. Liberty because it's a wonderful old store with a great atmosphere. And Jimmy Choo, because Becky loves her shoes! I love Lupita N'yongo, she's absolutely gorgeous, and I would be very happy dressing her up. What is the best deal you ever received on a purchase? I was once in a charity shop and found a Moschino skirt for ten pounds. It was the most beautiful red pure wool skirt, with a heart shaped button - for a mere ten quid! I couldn't believe my luck and I wore it to death. What is your favorite thing to buy when you go shopping? I used to say shoes, but I have noticed that my new tendency is coats. I think it's because I can just swing them over whatever I'm wearing. If you could go shopping in any city in the world, where would you go and why? I'd go to Melbourne, as I've never been to Australia, and I've heard Melbourne is a fabulous shopping mecca, so I'd be killing two birds with one stone! 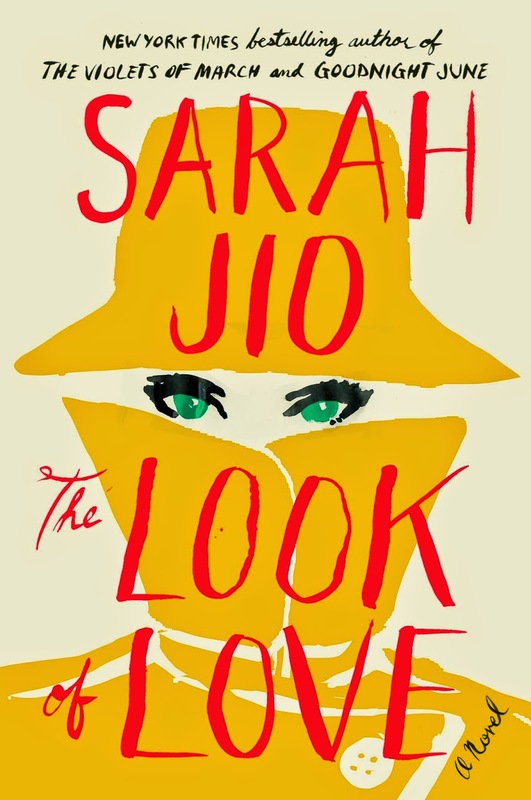 Thanks to Sophie for a fun chat and to Penguin Random House for sharing her book with our readers. US only. 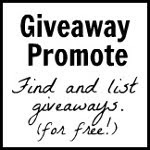 Giveaway ends October 26th at midnight EST. 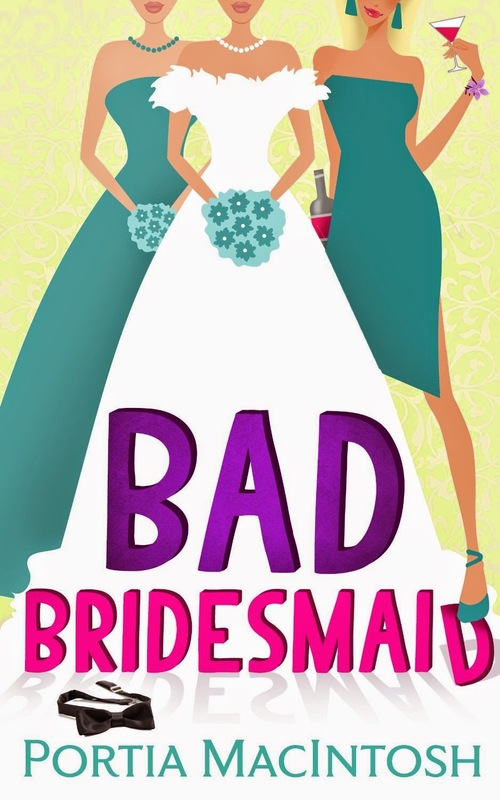 When I was asked to review Bad Bridesmaid, I immediately accepted. I loved MacIntosh’s How Not to Be Starstruck, so it seemed fitting that I check out her latest novel. Formerly pudgy and plain, Mia Valentina (who used to be Mia Harrison; she wanted something a little more spectacular in the last name department) has a bad rap. She moved from England to get away from her overly-critical family and after planting roots in sunny L.A., she lost weight, worked hard to have the body she always wanted and made a name for herself in the movie industry. She figured this would at long last bring her the respect she’s always craved from her family, but it doesn’t play out that way. 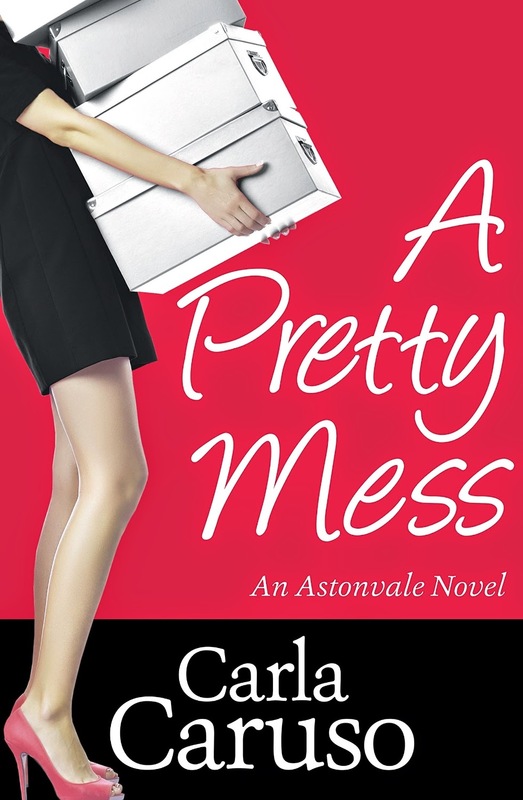 When she’s invited back to England as a bridesmaid for her younger sister Belle’s wedding, everyone expects the absolute worst from Mia. 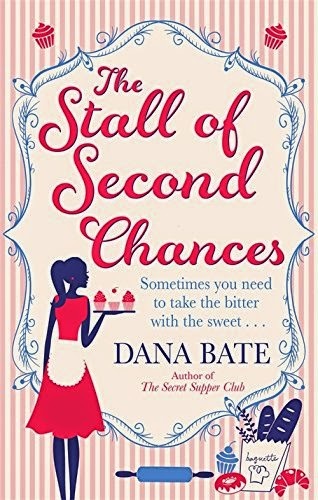 After unintentionally injuring the groom, finding herself in bed with one of the groomsmen and constantly placing herself in uncompromising positions, Mia finds herself alone and disliked. Well, that’s not entirely true. Her pre-teen cousins absolutely adore her, especially after she allows them to watch Pulp Fiction. This doesn’t go over well with Mia’s aunt. Not after the boys walk around quoting various phrases from the film; the ones that contain the most swear words, of course. I found myself annoyed with Mia’s family. Even when she tries her best, they constantly negate her which only facilitates and feeds into the bad behavior. And Belle blames Mia for everything that is going wrong with her wedding, even the stuff that has nothing to do with Mia and is out of her control. I wondered if this train wreck of a family would ever right itself back on track or if Mia would be able to stick it out until the big day. Sure, she’s rough around the edges but you can tell she’s got a heart of gold. She has to, in order to put up with her jerky relatives. True to MacIntosh’s style, there are a lot of comedic moments, a lot of “Oh wow, did that just happen?? 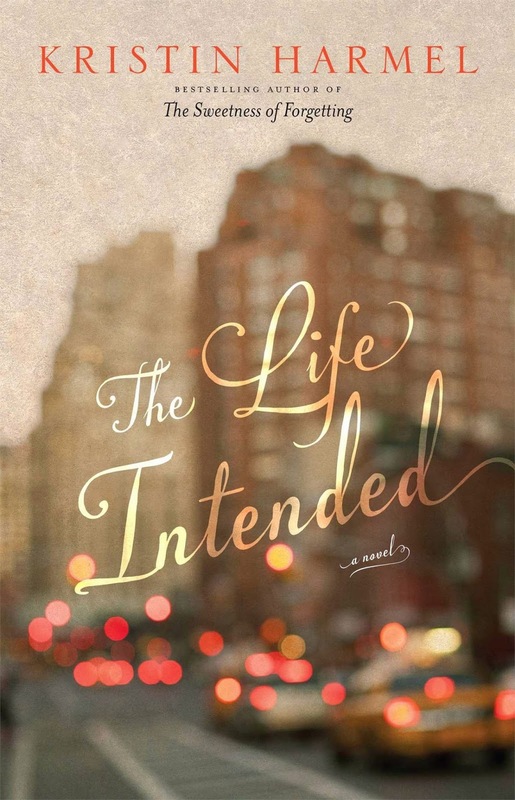 ?” situations that made it very hard to put this book down. There’s also a sweet little twist at the end, too. I was emotionally invested in Mia, the proverbial underdog. It’s hard not to be, and I appreciate that MacIntosh’s characters always show growth and development, never stagnant. Never one dimensional. A great read! 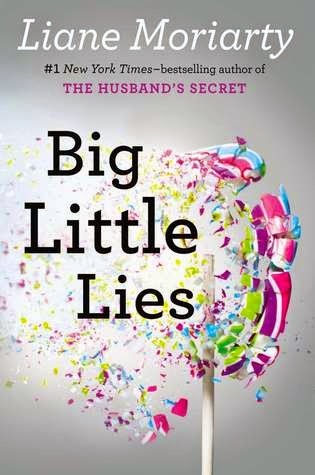 There's a reason Big Little Lies was one of this past summer's bestselling novels. Not only was it playing off momentum from Liane Moriarty's previous novel, The Husband's Secret, but the combination of chick lit and a murder mystery is enough to get a buzz going amongst avid readers. I'm pleased to report that it was definitely worthy of all the hype it is still continuing to generate! A murder...a tragic accident... or just parents behaving badly? 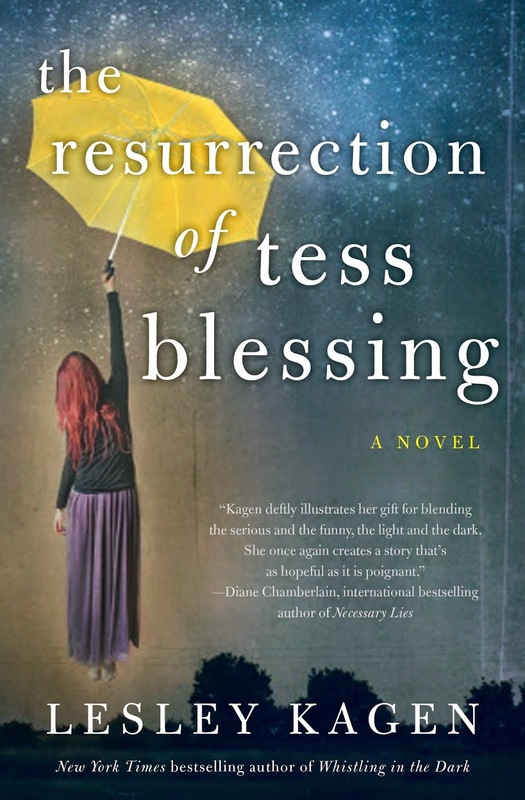 This novel was definitely what the doctor ordered to overcome Desperate Housewives withdrawal. Liane gives us three compelling women who are each sympathetic in their own ways. Madeline is having a hard time enjoying turning the big 4-0 when her daughter makes her feel inferior to her ex-husband's new wife and starts keeping secrets from her. BIG secrets. And speaking of secrets, Celeste has one of her own to deal with, and she can't even tell her best friend. Meanwhile, Jane is trying to overcome a past shame and worries that it could be affecting her son in more ways than she was expecting. And it doesn't help that everyone is turning against her and her son either. I could easily relate to how parents get judgmental of other parents and their kids. Either it's about being a stay-at-home mom vs. a working mom, or if a kid is accused of acting out, the responsibility falls upon the parents. Social situations can be fraught with stress sometimes. There were moments in this story where I just cringed at how either a mother or a child (or both) was being treated. I could definitely relate to Madeline the most. She always looked after her friends' well being, even when she had stress going on at home. 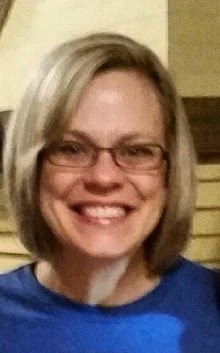 I also know that I'm going to embrace turning 40, just like she did (or at least tried to do). The stories of all three women became intertwined at certain points, which had an impact on the outcome of the story. However, one of the connections seemed forced and made another aspect predictable. I still was surprised by the answer to the murder mystery and didn't see that part coming, in terms of how it would all unfold. After the climax, things seemed to slow down while feeling rushed at the same time. It was still interesting to see what would happen though. I was very impressed by Big Little Lies and have been recommending it to everyone I know. 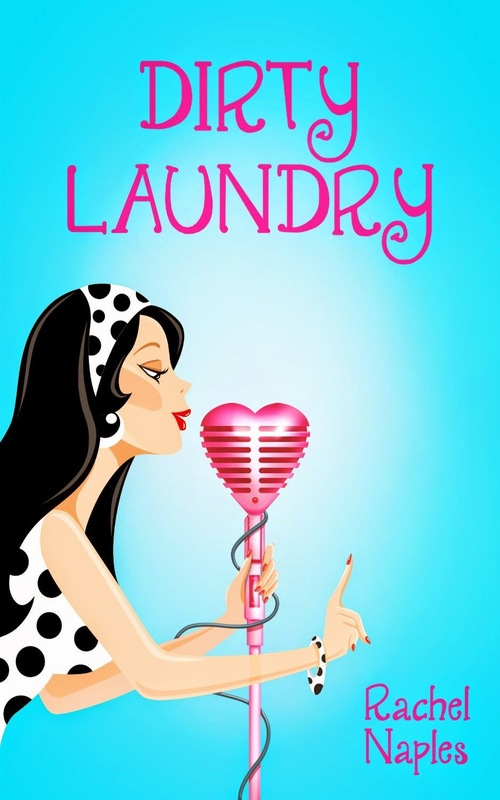 I am already clamoring for Liane's next novel! Of course, this review wouldn't be complete without my dream movie cast!